Definitely moisturized my dried out and damaged hair! Neutrogena Triple Moisture Conditioner was worth every penny that I spent on the product. It was a little more than I wanted to spend at the time, but I do not care now. It boasted that it was a triple moisturizing conditioner and I was not disappointed at all. My hair felt so much softer and it was so much shinier after using this conditioner. It helped to repair the awful damage to the split ends and it also made my scalp feel less dry. It smelled good too. I usually have good things to say about Neutrogena products and this one is no different. 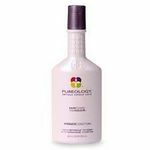 I am really glad I have used it and I would definitely recommend this product to anyone looking for a conditioner that will truly condition their hair. Effectiveness This conditioner is very effective in that it will moisturize and repair your hair. I am confident in saying that it is one of the best conditioners I have ever had the pleasure of using. Works best for heat damaged hair. If you tend to blow dry and straighten your hair a whole lot, there is a large chance that your hair is very damaged from all the heat that you are using on it. This can cause breakage and dryness, like it did for me. Although cutting back on using heat products can help prevent this, the damage that was already done to my hair was already too far gone and I needed to truly heal my hair from the inside out. This product was absolutely perfect for that. I noticed that it didn't weigh my hair down, but it also made it shiny and soft. I have tried over several months to find a product that will make my damaged hair softer, and I finally found it. This product while not "high end", actually moisturizes my hair. Before using this product my hair felt like "straw", now it is shinny, soft and manageable. I highly recommend using this product and you will see a difference in the first use. Yuck! Too thick and greasy for me! I do NOT like this conditioner or partner shampoo at all! I have used it for a while now and my hair does not stay as clean as it usually does. It tends to feel heavy and gets greasy feeling and looking particularly near the roots. I am finishing it up b/c I hate to be wasteful but will not purchase again! It takes a while to rinse it out well and I am still displeased w/ my hair afterwards! I work outside in the dry heat and tend to blow dry my hair a few times a week, so this **Neutrogena Triple Moisture Conditioner** is great relief for my hair. I am not a huge fan of conditioner products because of how heavy and greasy they feel, but this product doesn't do that. Just a little of the conditioner is needed for my whole entire head and it adds a lot of moisture and hydration to my hair. It helps get rid of my damaged and dry ends and works great as a detangler. I love that it has a thick and creamy lather, but doesn't feel heavy or weigh my hair down after rinsing it out. It has a clean and fresh scent and really softens my hair and gets rid of any dry flakes near my scalp. This conditioner is great to use a few times a week because it really restores the condition of your hair and will make it look and feel great. 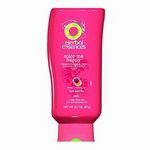 I finally have a conditioner product I love and that is great on my hair. This is my all time favorite conditioner- the most smoothing, moisturizing, enriching one I have found. the smell is great, I only need a small amount despite my long hair, and styling is definitely easier after using this product. Neutrogena Triple Moisture conditioner is the best, EVER. 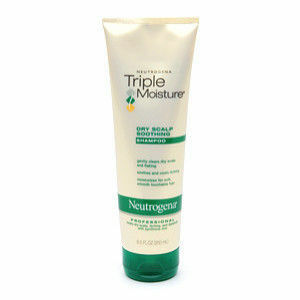 The Neutrogena Triple Moisture Conditioner is the best i've ever used. I used to work in the cosmetic department of a drug store, and received trials of tons of conditioners and was around salon brands. 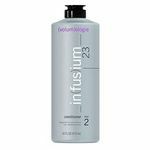 I used many, including Nexxus and Redken, and this is by far the best. I dye my hair pretty often and straighten it with a flat iron daily. My hair is soft and healthy with using this.